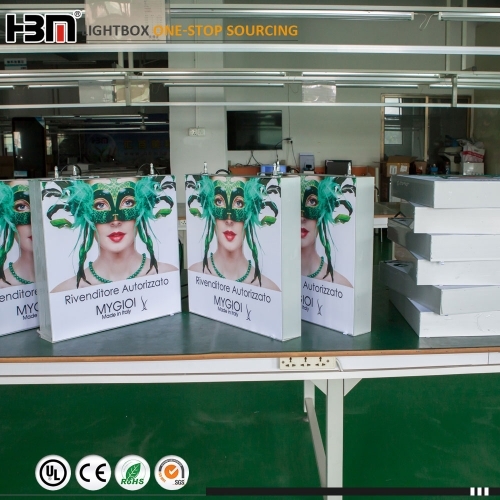 It is double side indoor sign advertising light box. 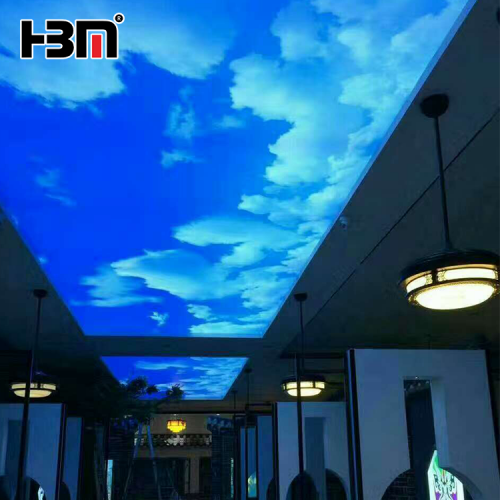 Edgelight dye-sub. 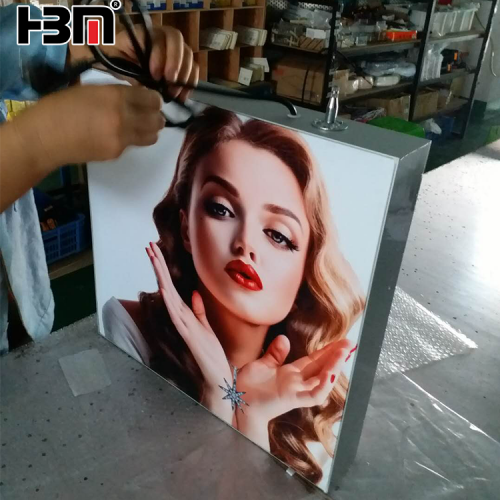 textile fabric light box with hanging system. 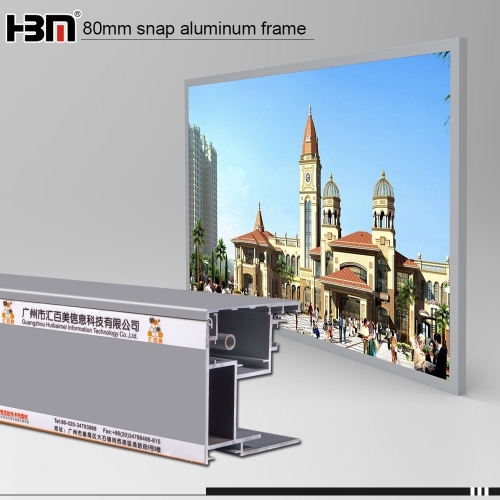 Used for store promotion display. 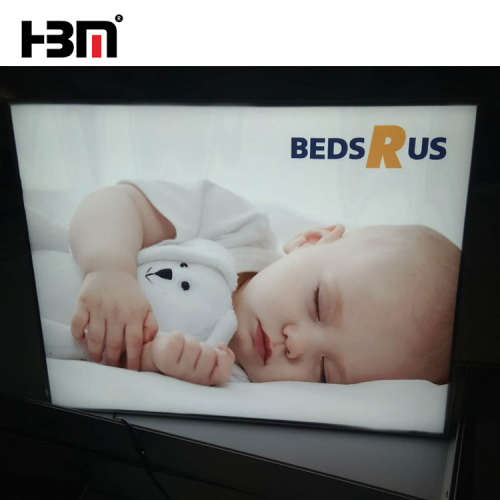 40mm slim fabric light box is the most popular advertisement display at 2016,which is with the ultra thin aluminum frame design and top quality diffused LED backlit strip. 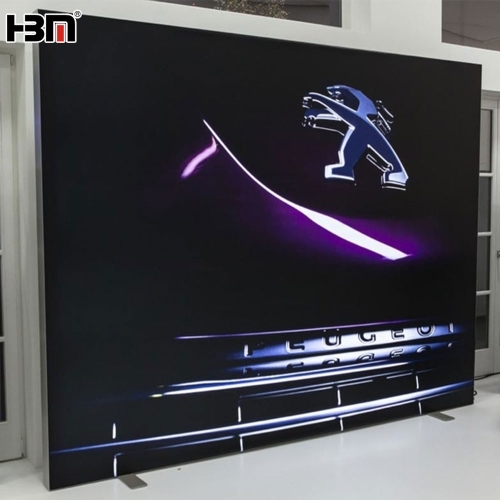 100mm double side fabric light box is mainly used for Trade Fair,with edgelit LED. 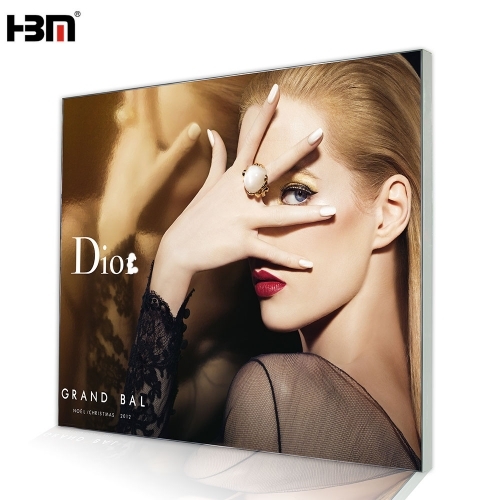 double sided can be put two faces posters to advertising. 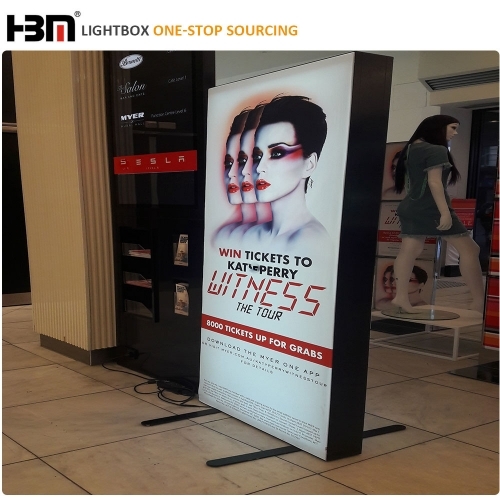 Free standing or handing type advertising light box system. 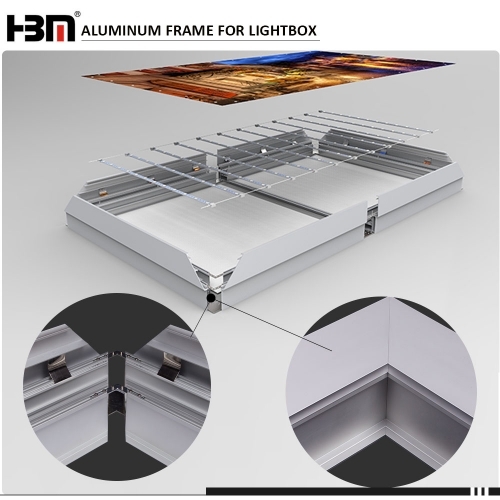 this is anodized aluminum extrusion frame for 80mm fabric light box. 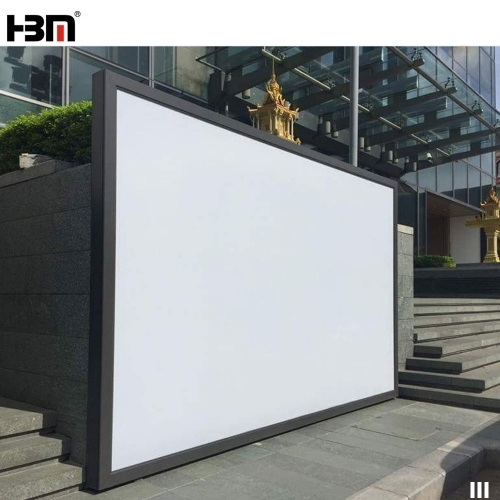 It is desiged with both backlit (2835model 3030model ) or sidelit ( 3535 model )Wall mounted ,hanging or free standing type to disply for shopping mall or exhibition.